The leading company in the new digital era, LG Electronics has announced its new clamshell phone named as L-06A, which comes with a 3-inch TFT touchscreen display that can be flipped at 360°. 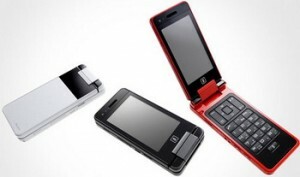 The phone is executed in a folding form factor with a turning screen with touch panel, with functions cater to games and multimedia applications. It has 5.1 megapixel camera with autofocus and an external LED matrix display. In addition, the new LG L-06A supports high-speed wireless data transfer of up to HSPA 7.2 Mbps and the availability of dedicated keys for quick access to online services of Google. The new LG L-06A are available in several color including Silver, White and Red. The phone measures just 110 x 52 x 15.4 mm and weighs only 131g. LG L-06A will be available starting in mid-June but the price has yet to be announced.